Chris Juul Jensen was born in Ireland and was only tempted “home” to Denmark aged 16-years with an amazing offer of a place at a sports school. Riding for Tinkoff-Saxo for the past number of years, he moves to Orica-GreenEDGE for next season. 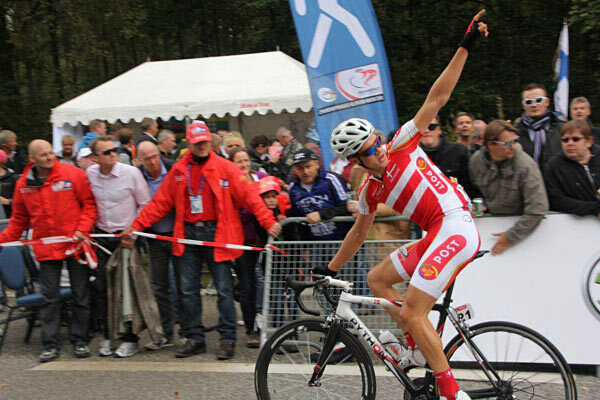 He has just taken a huge pro win at the UCI 2.HC Tour of Denmark and is looking very good for the future. Above, he is photographed on the podium in Denmark with his winner’s jersey. 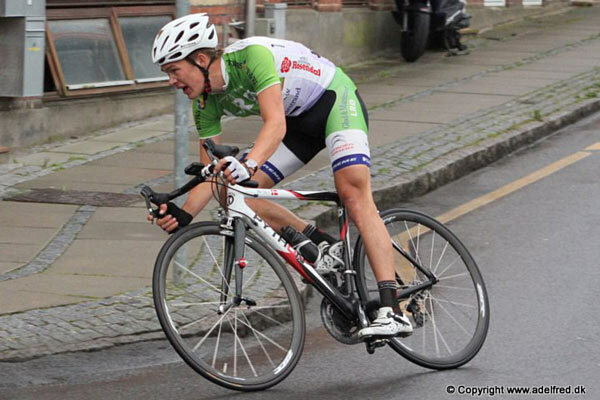 We caught up with Juul Jensen in December 2011, just after stickybottle began. In the interview, below, he talks us through his formative years in Ireland. He also outlines the school system that Denmark offers young athletes with world class potential; a system Ireland can sadly only look to with envy. We’ve reproduced the interview here exactly as it appeared at the time. In this feature length interview, Chris Juul Jensen tells stickybottle about growing up in Ireland before moving to the Danish development squad and progressing into the pro scene in 2012. When you speak to Chris Juul Jensen about his journey from growing up as a kid in Co Wicklow to just having barged his way into Alberto Contador’s squad at Saxo-SunGard, you are treated to a most compelling story. You want to gather Irish Government ministers around him and those in development positions in Irish cycling and force them all to listen to his tale. His development years have been wrapped up in a cycling and education system that has supported him in ways juniors and U23s here can only dream of. Born in Ireland to Danish parents who emigrated to Wicklow in the 1980s, he followed his father and brother into mountain biking with Sorrento CC. “We grew up in Kilmacanogue,” says the 22-year-old, in what would be regarded as a south Dublin accent. But when the foot and mouth outbreak hit Ireland in 2001, the then 12-year Juul Jensen and his fellow off-road disciples found their gallop halted. They were banned from the countryside as the authorities tried to minimise the spread of the disease. 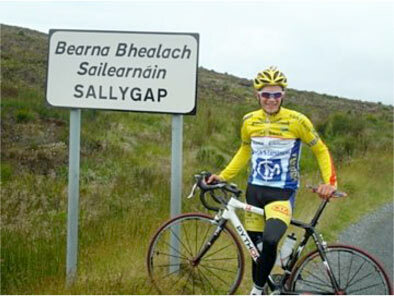 As a schoolboy he was good enough to get a place on the Irish ream to ride the Youth Olympics in Italy in 2005. By the time he was 16 years he decided he would follow in his brother Thomas’s footsteps and go to Denmark for transition year. 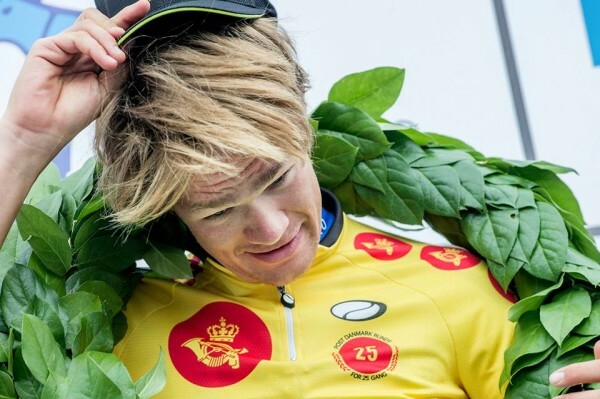 Already dreaming of a life as a professional cyclist, it was the Danish school system’s willingness to accommodate his sport that drew him to the land of his parents’. 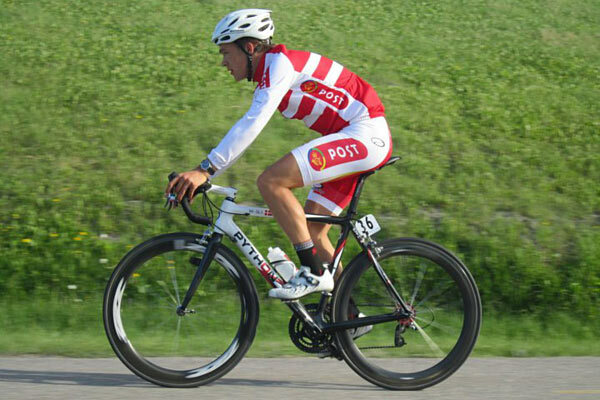 He spent transition year at cycling school in Aarhus – on Denmark’s Jutland mainland – where developing in the sport was given the same priority as studying. “It was a combination of school and cycling,” he says. “Cycling was a class that you had in your timetable. Some of the best Danish cyclists were there, it was great for developing. 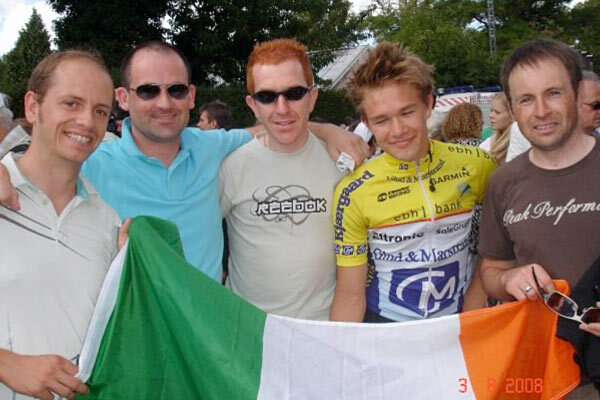 When he decided he would stay at the cycling school in Denmark for the remainder of his secondary education, his parents and sister Sarah packed up their lives in Co Wicklow “with a lot of sadness about leaving Ireland” and moved back to Denmark. In school, the final two years that would take an Irish student to his or her leaving cert were simply extended for Juul Jensen. This created plenty of time to train, rest and race, meaning he only left secondary school aged 20. “In Ireland you would need to spend too much time studying to do the Leaving Cert, so the bike would get less attention and a lot of guys pack it in. And because of the massive cycling culture in Denmark, the racing scene was a vibrant one. He found a place on a junior team and later an U23 squad that both operated like trade teams. “Every weekend even if you went to only a regional race in Denmark, there were 120 riders and lots of teams like ours, so the scene was big and there was a lot of strong riders; it really brings you on. He says it was a set-up that allowed him to develop a “mature cyclist’s mentality”; one where working for a stronger team mate was second nature and helped to “earn the respect of the elders”. It was also a culture in which developing towards success, rather than rushing it, was the order of the day. As an U23 he moved to Danish continental team Glud & Marstrand LRØ, which he says has always had “a good development ethos”. While win after win did not exactly roll in, Juul Jensen says he made constant progress and got better each year. By his third year at U23 level he began gaining regular selection for the Danish national team again. “I tried to set realistic goals rather than massive ones. I was successful in terms of the expectations I had. I’ve been a grinder. In 2009 he was 17th in the final GC in the Tour of Denmark aged just 20 against leading pro opposition. 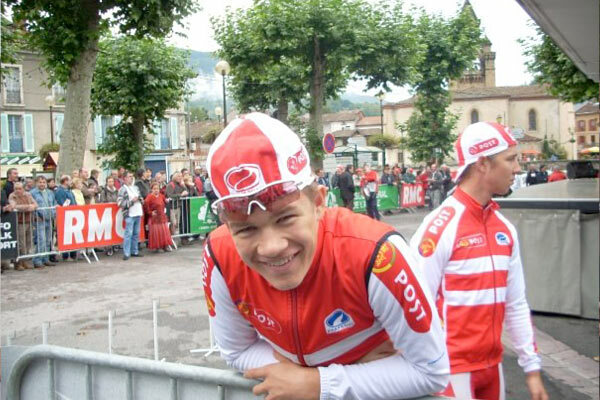 The following year, 2010, he was eight in the U23 Liège-Bastogne-Liège. 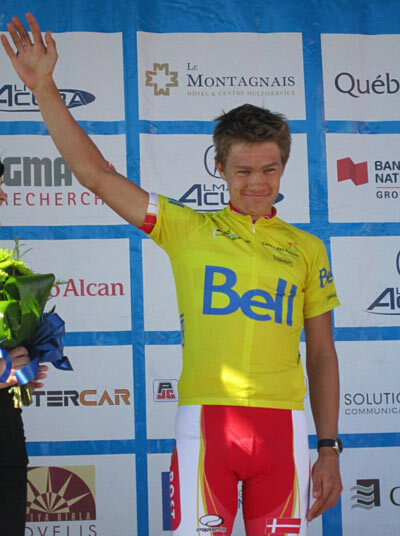 His biggest win, and the race where his ‘steady progress’ mentality is best demonstrated, was at the Ville de Saguenay stage race in Canada; one of the hardest events on the U23 Nations Cup calendar. In his third year as an U23 he gained selection for the Danish team for the race and was “delighted to be there to learn as much as I could”. The following year his aim was to be strong enough to help the best riders on the team for the GC and try and do well on a stage or two himself. In his third visit to the race, during the 2011 season, he was stronger again. Aiming for a good GC place, he won the race outright; a massive performance in a very difficult arena. His progress had already attracted the attention of Saxo-SunGard, who invited him for a week-long training camp in the French Alps in 2009 and another camp in 2011. Leopard-Trek also came knocking, offering him a stagiaire during the 2011 season. He bravely declined it, hoping Bjarne Riis would offer him a deal instead. That hope came to fruition just at the end of the 2011 season and he will now ride for the Saxo-SunGard Danish squad next year, where he will be a team mate of Contador. His two-year deal came about through his results and relentless progress and also because his manager at his continental team in Denmark kept in constant touch with Saxo-SunGard on his behalf; the Danish support system helped deliver the classy Juul Jensen right to Riis’s door. “The main aim for the coming season is to get an idea of where my abilities are as a pro and to adapt to the higher level,” says Juul Jensen. He says he has really fond memories of living and racing in Ireland and pays tribute to those in Sorrento CC who looked after him as a kid; “people like Adrian Ryan, Paul Murray; a lot of people, great people”. But he doesn’t look back. “I feel Danish and I don’t regret moving here; the set-up is so strong. Irish cycling has developed a lot and suddenly I’ve seen the Irish teams at a lot of races in recent years.